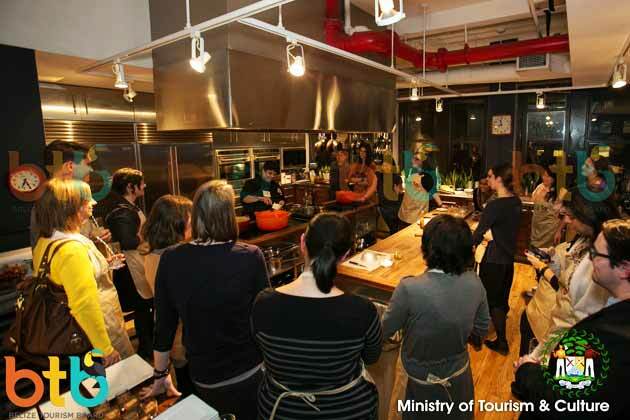 On November 14th, the Belize Tourism Board and top food magazine Saveur, hosted a night of Belizean cuisine at the Saveur kitchen in New York, New York. Chef Jennie Staines, of Elvi’s Kitchen in San Pedro, dazzled over twenty (20) top food writers with her authentic and flavorful cooking. In usual Belizean flair, Chef Jennie did demonstrations and interviews - all at once! Popular food writers and bloggers from big name publications, including Fodor’s, Bon Appetit, NY Times, AbcNews.com, Afar and The Daily Meal, were treated to rum punch cocktails made with One Barrel rum. While the rum punch was a big hit, Chef Jennie’s appetizers of Conch’s Fritters and Jalapeno Poppers not only teased the palates, but also piqued the journalists’ curiosity about Belize’s rich cuisine. With local ingredients and a big personality behind the counter, the Saveur kitchen was set alive with tantalizing aromas and sounds as Chef Jennie conducted demos of how local foods are prepared. And of course, one of the best ways to learn about Belize is over some good home-style cooked Belizean food. The journalists were treated to a four course meal à la Chef Jennie. The meal started off with a Stone Crab Ceviche Shot, served with freshly made Plantain Chips. The second featured the chef’s signature Mayan Fish, followed by the third course, one of Elvi’s special, Coconut Curry Chicken. Finally, Caramel Flan topped off the delightful sit down dinner. The attendees were gifted with locally made products including condiments, pepper sauce, cook books and other Belize items. After dinner, one lucky writer walked away with a trip to Belize for two. She will be treated to La Isla Bonita’s hospitality for four nights. 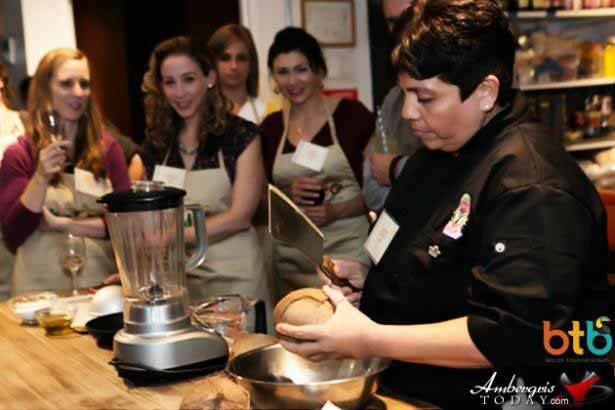 Feedback from the Belize Saveur event generated much buzz and proved to be very successful.